Field Bindweed ( Convolvulus arvensis ). 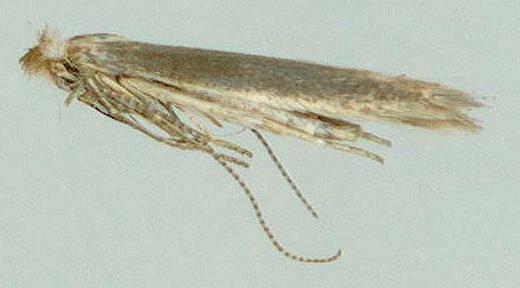 The adult moths are fawn with a hairy head and thorax, and fringes of hairs on the trailing edge of each forewing, and around the whole of each hindwing. The antennae are nearly as long as the forewings. 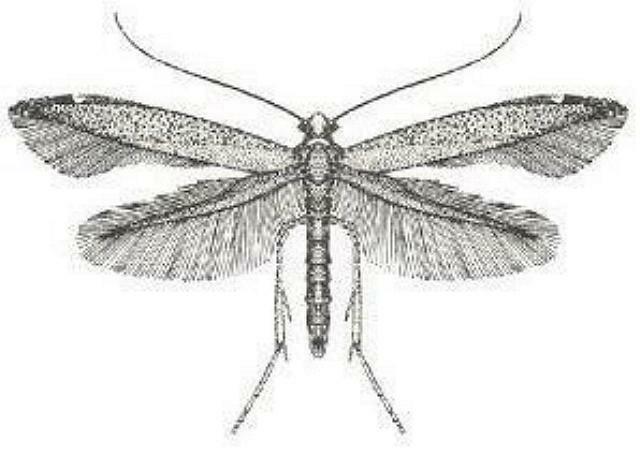 The moths have a wingspan of about 1 cm. The eggs are laid singly on the upper surface of a leaf of a foodplant. 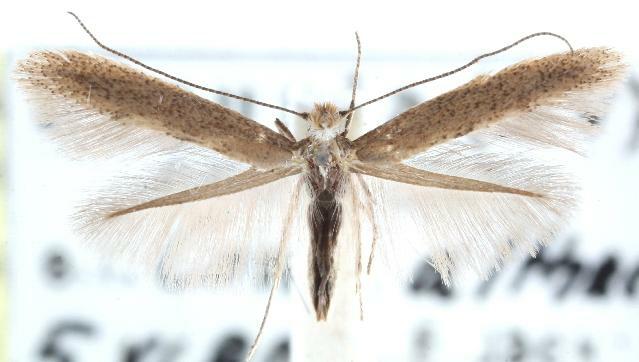 Moths of Australia, Melbourne University Press, 1990, fig. 21.12, p. 215. Jena, Volume 40, Heft 12 (1847), pp. 894-895, No. 432.